i think what #130 was saying was that: from top to bottom, AMD's offerings are really good...if you want the best "bang for the buck" the 3400+ or whatever, or a 3000+ winnie OC'd will provide you with the best performance per dollar you spend...EVEN against the X2's. On the other hand if cost is not an issue, an X2 4400+ provides extremely good performance for people willing to pay the $500 premium. Zebo's point is in direct response to your point, which is AMD "STILL" has the best bang for the buck, not intel. "Intel is just lucky a 3400+ new castle wasn't in that test suite. It's would win the majority of tests over an 830!! and it's still cheaper. Or did you miss this chart? LOL"
Why not just admit it. AMD's DC is about 10-20% faster while costing 80-100% more. Even if the 3400+ is added, that comparison is moot since if you compare the score of that to the price of AMD's own DC - the price performance ratio is stagerrring? Or did you miss that logic? Anyways did you miss the part that even AMD DC was being beaten by their own single core. "The Athlon 64 4000+ was the last single core member of the Athlon 64 line. The Athlon 64 FX will continue as a single core CPU line, with the FX-57 (2.8GHz) due out later this year." 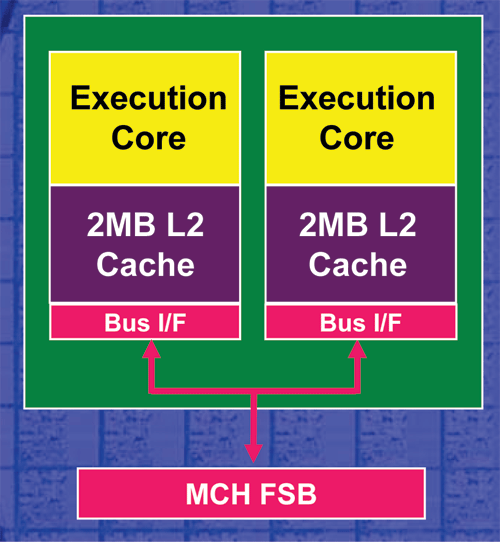 Intels DC chips can hardy compete with AMDs single core offerings. Side by side both DC it's a joke. Isn't the shoe on the other foot? For several years now, so many touted AMD's cheaper price and competative pricing. Now with Pentium4 D, especially with the 3GHz model, you get half the price of the cheapest X2 while probably at best 20% lower performance? Considering that multithreaded apps already see such large gains on dualcores, going 64-bit too could well mean a more than 100% improvement from A to B. Visual, On P.12 I was referring to the closest Xeon competitor to the 252s which is the Quad Xeon 3.6 GHz 667 MHz FSB. jvarszegi, the actual stored procs are not prefixed with "sp_", we just used that as part of the "analogy" to the real system. One could also argue that we did not prefix the analogy example with the object owner either which also incurs a cache miss. Honestly, I have never quantified the expense of the sp_ prefix or the object owner. 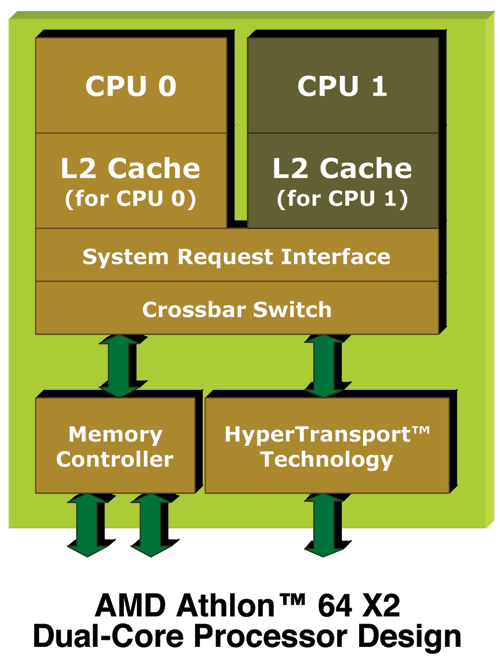 Where are the dual-core Windows x64 and Linux x64 benchmarks?? That's what I really want to see.